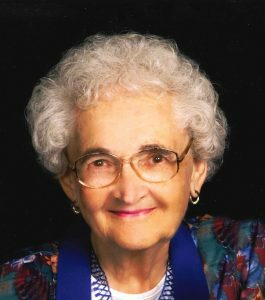 Marie A. Rathje, 92, of Rising City, died Sunday, September 30, 2018, at the Greene Place Nursing Center in Seward. 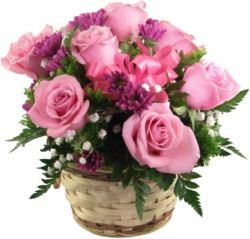 Funeral Service Thursday, October 4, 2018 10:00 A.M.
Marie Rathje was born August 29, 1926, near Rising City to William and Anna (Dake) Nuebel. She attended area schools and graduated from David City High School. She then went on to earn a Bachelors Degree in teaching from the University of Nebraska in Lincoln. She taught school in a one room school house north of Rising City. On September 3, 1950, Marie married Alfred M. Rathje in Rising City. Besides teaching, Marie was a true "farm wife", assisting Alfred on the farm. She was very active in the Faith Lutheran Congregation, teaching Sunday School and serving as an officer of the Ladies Aid. Marie was also a member of the Shelby Legion Auxiliary and the Extension Club. Surviving are her son, Keith Rathje of Rising City, and five grandchildren: Travis ( Samantha) Rathje of Lincoln, Thomas Rathje of Rising City, Elizabeth (Tom) Huff, Lincoln, Megan Bejot of Wakefield and Lorinda (Joseph) Mollenkamp of Oklahoma, City. She was preceded in death by her parents, husband Alfred, daughter Julie Bejot, daughter-in-law Linda Rathje, two brothers, Keith and Carl Nuebel and a sister, Wilma Warren.